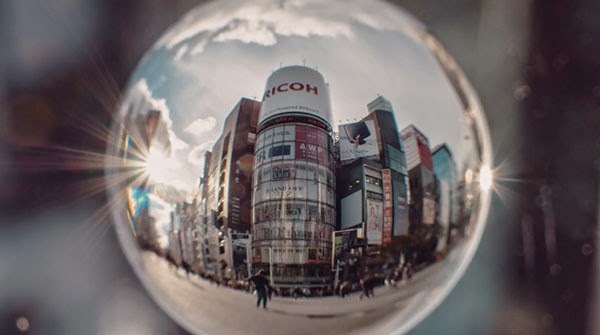 A time-lapse of Tokyo as seen through a glass sphere or "Soratama". The technique is commonly used by photographers which usually involves setting the ball on a pedestal or holding it with the fingers, which often gets reflected on the picture. In this case, the clear ball is fixed to the front of the lens to make it seem like it's floating in the air. You can see more of darwinfish105's work here.